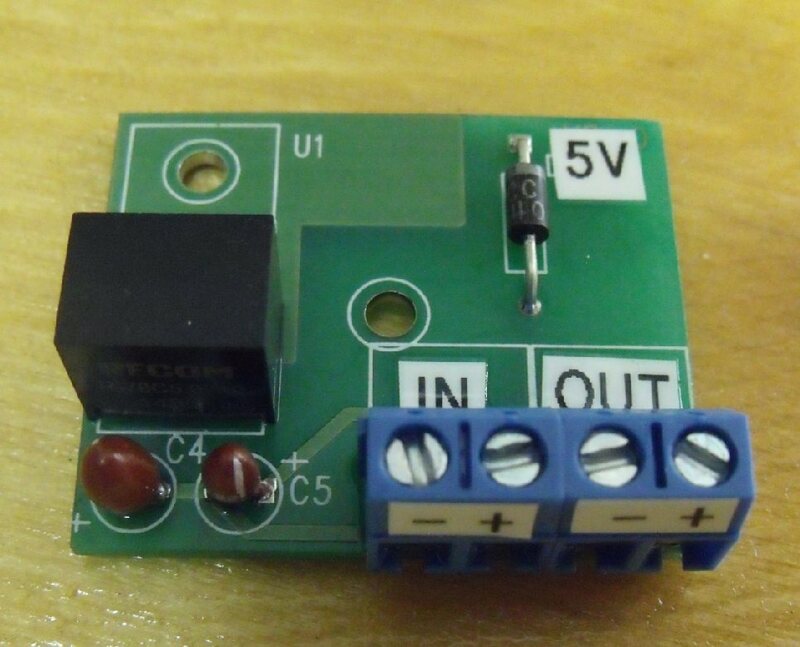 The VRS is a fixed voltage switching regulator. 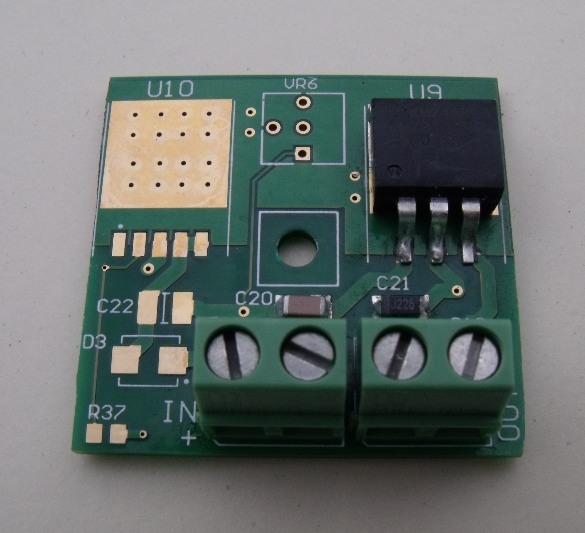 Switching regulator are very efficient and are best for use when the difference between the input voltage and the output voltage is large; 12 volts down to 5 volts for example. If the voltage difference is small (3 volts or less) then you should look at our linear regulators below. The VRS is can deliver up to 1 amp output. It is available in six different output voltages. The input voltage to the VRS must be at least 3 volts greater than the desired output voltage for the device to operate properly. Maximum Input voltage: 28 volts DC. 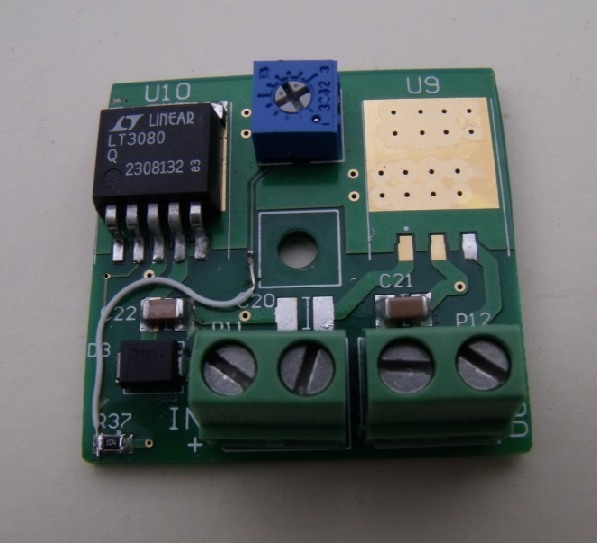 The VR1 is a linear, low dropout, fixed voltage regulator. Linear regulators work best when the difference between the input voltage and output voltage is small (3 volts or less). The VR1 is can deliver up to 1 amp output. It is available in five different output voltages and is equipped with screw terminals for easy, no-soldering connection. The input voltage to the VR1 must be at least 1/2 volt greater than the desired output voltage for the device to operate properly. Maximum Input voltage: 30 volts DC. Max. Output current: see derating table. 1.4" x 1.32" x 0.5"
35mm x 33 mm x 8 mm. The VRX is an adjustable voltage regulator. The VRX is can deliver up to 1 amp output and is equipped with screw terminals for easy, no-soldering connection. The input voltage to the VRX must be at least 1 volt greater than the desired output voltage for the device to operate properly. It is available in 2 different models, the VRX-L for output voltages up to 11 volts and the VRX-H for higher output voltage. Input voltage range: 1.5 to 30 volts DC.